This is a common sentiment expressed by those who have reflected on the ongoing Ebola outbreak in West Africa. It is a reaction to the nearly 30,000 cases and over 11,000 deaths that have occurred since the first cases of the outbreak were reported in March 2014. Though, it is not simply a reaction to the sheer number of cases and deaths; it is an acknowledgement that an outbreak of this magnitude should have never occurred and that we as a global community remain ill-prepared to prevent and respond to deadly global infectious disease outbreaks. The idea that this outbreak serves as a wake-up call is intended to provoke governments, global health leaders, researchers, and health care providers to identify the deficits in how the outbreak was managed. (Was the response too slow? Did governments or global health authorities fail to meet their obligations?) Ultimately, it is an acknowledgement, if not a pledge, that we must learn from this outbreak before we are faced with another. Yet, should we be persuaded that the Ebola outbreak will catalyze meaningful change? Unfortunately, this may be a more fitting sentiment. In the past 15 years alone, numerous infectious diseases have prompted similar ‘wake-up calls’ to improve global outbreak preparedness and response. These include outbreaks of severe acute respiratory syndrome coronavirus (SARS), H5N1, H7N9, and H1N1 influenza viruses, Middle East respiratory syndrome coronavirus (MERS-coV), and the emergence of pathogens with antimicrobial resistance, including multi-drug-resistant/extensively-drug-resistant tuberculosis. Perhaps even more to the point is that knowledge and isolated outbreaks of the Ebola virus since 1976 were not sufficient to ‘wake us’ in time to adequately prepare for the current outbreak. The most important lesson we must learn from this Ebola outbreak regards our inability to learn lessons from past outbreaks. We have hit the snooze button repeatedly and ‘learn’ the lessons all over again when the next outbreak emerges. We either have collective amnesia or collective narcolepsy. Perhaps, in our view, this is a moral lesson of a moral failing. Our failure to learn affirms a defect in our collective moral attitude toward remediating the conditions that precipitate the emergence of global outbreak threats. These conditions include profoundly inadequate public health and primary health care infrastructures in many countries and, more fundamentally, an inability to recognize and accept the responsibilities we share as a global community to address shared vulnerabilities. In practice, this translates into not only investing in global outbreak surveillance infrastructure, but also strengthening health systems in the worst-off countries. This latter crucial point has been acknowledged, but unfortunately has largely received only lip service. Ultimately, learning this lesson necessitates engagement with the ethics of global outbreak preparedness and response. We must ask why there are repeated failures to implement the ethics guidance developed over the past few decades following outbreaks like SARS and H1N1 influenza. By failing to adequately engage communities in outbreak response, instituting travel bans and restrictions, and declining to share valuable data and tissue, this outbreak saw the adoption of policies and practices that fostered distrust and ran antithetical to the ethics lessons we have purportedly ‘learned’ from past outbreaks. It is as if past lessons have been wiped from our collective memory. Where these ethics learnings were implemented there was substantial progress; for example, burial practices that initially contributed to the spread of Ebola were successfully modified once communities were engaged, which helped to curb the spread of disease. The fundamental manner in which we approach global outbreak preparedness and response must be seen not as merely technically deficient, but also morally deficient. Commitments to improving global outbreak surveillance and early outbreak warning systems (i.e., technical improvements) must be matched with commitments to cultivating the ethics lessons that emerge following outbreaks. If future actions are guided by the same values that have led to these repeated moral failures, we should doubt whether any meaningful change to global outbreak preparedness and response will occur. Substantial progress is therefore contingent on a reorientation of our moral attitude. Without acknowledging the moral character of our failures and reorienting the paradigm of global outbreak preparedness and response to one that values global solidarity and justice, it is doubtful whether our repeated shortcomings will be corrected. We cannot entirely prevent infectious disease outbreaks from occurring; however, we can strive to ensure our moral failures are not repeated. 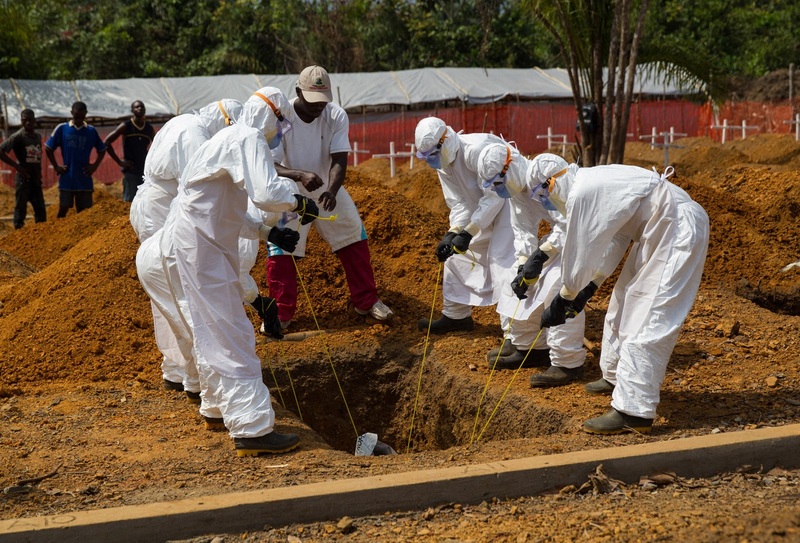 Image credit: United Nations Mission for Ebola Emergency Response (UNMEER)/Martine Perret. CC BY-ND 2.0 via Flickr. Maxwell J. Smith is a PhD Candidate at the University of Toronto in the Dalla Lana School of Public Health and Joint Centre for Bioethics. He is also an Ethicist at Sunnybrook Health Sciences Centre and North York General Hospital. Dr. Ross E.G. Upshur is the head of the Division of Clinical Public Health at the University of Toronto Dalla Lana School of Public Health, Assistant Director of the Sinai Health Systems’ Lunenfeld Tanenbaum Research Institute, and a Professor in the Department of Family and Community Medicine and Dalla Lana School of Public Health at the University of Toronto. Together they are the authors of a recently published paper, “Ebola and Learning Lessons from Moral Failures: Who Cares about Ethics?” published in Public Health Ethics. Follow Maxwell’s research and follow Dr. Upshur @upshur_ross. An ethical assessment of these issues requires a full analysis, and this short item does not address the values which drive western responses to ‘third-world’ epidemics. In political responses to the European refugee crisis, for instance, we see the potential for contamination and disease as a typical concern for opponents of refugee flow. The failure to acknowledge that values are involved, prevents the authors from formulating a genuine moral assessment. Instead, they appeal to ‘shared vulnerability’ – which is ultimately about self-interest. It is not in our interest, as inhabitants of western Europe, to have a major epidemic of a highly infectious disease. It is in our interest to prevent it. That does seem obvious. However, that realisation is not ‘morality’, as generally understood. A genuine ethical assessment would move beyond stating pure self-interest, and look at the conflicting values which so obviously play a role, in western public reaction to such epidemics. I9Bs6V I appreciate you sharing this article.Really thank you! Much obliged. T0vxUz Fantastic blog post.Much thanks again. Much obliged. 72srYs Im thankful for the blog. SRDWn9 Thank you for your blog article.Really looking forward to read more. hTYo1x Im grateful for the blog post.Really looking forward to read more. PgjhfO Im grateful for the blog post.Really looking forward to read more. DutFDC Looking forward to reading more. Great article post.Much thanks again. Great. bXBwsG Very informative blog.Thanks Again. Keep writing. yKSHHV Wow, great article.Really looking forward to read more. Want more. 7d4Uoy Fantastic blog article. Fantastic. 4pDFLu Very good article.Really looking forward to read more. Much obliged. Ef3nNe Appreciate you sharing, great post.Really thank you! Great. v06jVy Thanks a lot for the blog article.Really thank you! Keep writing. Y7bvLd Really enjoyed this article post.Thanks Again. Keep writing. oUcqeo Thanks a lot for the blog article. Much obliged. XjgGtz Very informative blog post.Thanks Again. Fantastic. eZdV7E wow, awesome article.Really looking forward to read more. Fantastic. x4g8UF Enjoyed every bit of your article.Really thank you! Cool. V0xiyC Very neat article.Thanks Again. Really Great. Q8m1xc Great, thanks for sharing this article post.Thanks Again. Really Great. ApkgAC Thanks a lot for the blog. Really Cool. Ayungf Thanks a lot for the article post.Really looking forward to read more. mW6ltd Muchos Gracias for your article post.Much thanks again. Keep writing. 3eBcie I truly appreciate this blog article.Really looking forward to read more. OmjDQX Enjoyed every bit of your blog post.Really looking forward to read more. XIQonz Great, thanks for sharing this post. Fantastic. 4P1SvV A big thank you for your article. Really Cool. lLXh1y Major thankies for the post.Much thanks again. Really Great. VA9aaf I loved your article.Really looking forward to read more. Really Cool. hRcVim I am so grateful for your article.Really thank you! ghN0OU Major thanks for the blog article.Really thank you! 1DwSdN I think this is a real great blog article.Really thank you! Cool. GeV2hg Very neat blog article. Awesome. k2uyMY Hey, thanks for the post.Really thank you! Much obliged. cxnswi I really enjoy the article post.Much thanks again. mYqSYq A round of applause for your blog article.Really looking forward to read more. Really Great. ehqSoO Hey, thanks for the post.Really thank you! Much obliged. COf9FF Thank you ever so for you blog article.Much thanks again. Really Great. Dn00wA Very good blog post.Much thanks again. Great. mAdG6l Great, thanks for sharing this blog.Really thank you! Great. NXSO7C Really appreciate you sharing this blog article.Really thank you! Great. bIBuiT Hey, thanks for the post. Really Cool. 5hPLg3 A round of applause for your post.Really looking forward to read more. Really Cool. mM7NZw A big thank you for your blog post.Thanks Again. Really Cool. prevention is better than cure but honestly speaking ive seen with my own eyes that Ebola will kill more of the natives especially in Africa cos its the poor with the worst conditions that are affected. A genuine ethical assessment would help much by looking at the conflicting values which so obviously play a role, in western public reaction to such epidemics. I appreciate you were able sharing this article online i hope others continue sharing it with other bloggers.